Check out "Abstract Sunday," the witty graphic collection of Christoph Niemann, who used to blog regularly as "Abstract City." 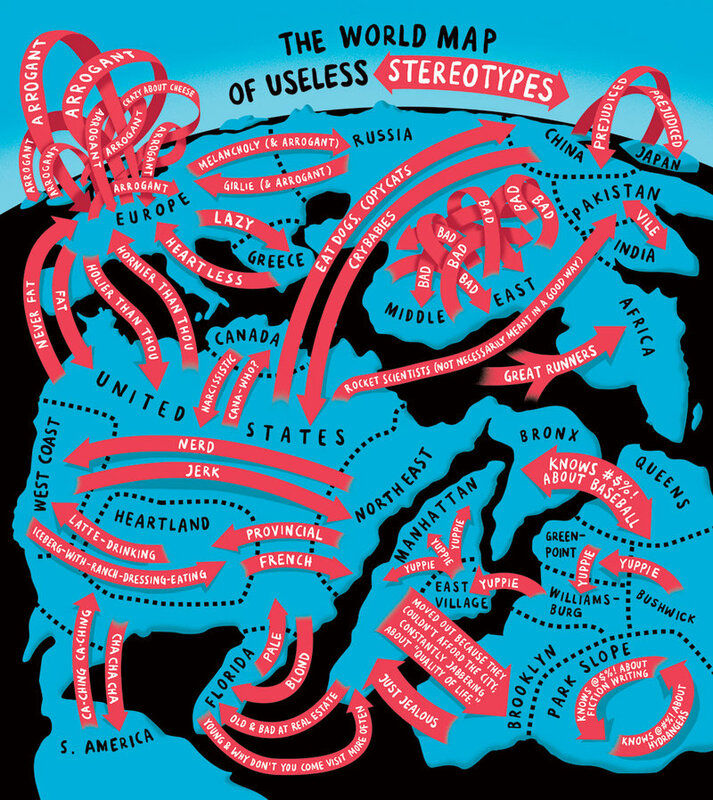 http://niemann.blogs.nytimes.com/2011/07/06/the-world-map-of-useless-stereotypes/. I think my favorite of his is called "I LEGO N.Y."